This argument is still used today, despite the fact that soil health practices have been successfully employed far and wide, in cold and warm climates, in wet and dry conditions. In fact, research suggests that in areas of extreme weather, farms that utilize soil health methods, which encourage more resilient agroecosystems, have more consistent crops than those that run traditional operations. With this reality, we’ve begun to enter into an age where even the most modern argument against soil health is carrying less and less weight. Farmer Alan Mindemann of southwest Oklahoma is yet another example of this. He’s also an example of how an open mind can be a farmer’s best friend. An avid reader and seeker of knowledge, at a young age Mindemann stumbled across an article that highlighted the benefits of no-till planters. “I saw that and I thought, ‘You don’t have to plow,” Mindemann recalls. His father, a long-time advocate of tillage, of course, thought differently. “Oh, it won’t work here,” were his father’s words. So Alan largely kept quiet. For the next 30 years, he tilled the land his father had raised him on, though he was never fully convinced that no-till, in fact, had no place in southwestern Oklahoma. He held onto this idea until it was time to take over the operation. Mindemann would come to find that not only did no-till have its place, but so did other soil health practices. Keeping his soil “armored” through cover crops (and their subsequent residue) was exactly what southwestern Oklahoma crops wanted. With this thinking, so far he’s successfully grown corn, soybeans, okra, winter and soft red winter wheat, grain sorghum (milo), pearl and foxtail millet, winter canola, mung beans, and cowpeas. “I got the reputation of being able to grow about anything,” he says. By Mindemann’s admission, roughly 80-90% of surrounding farms still use conventional till and winter wheat monocultures. Mindemann sees the toll it’s taken on his neighbor’s fields, stripping the land of organic matter and healthy Ph levels. And that’s at the root of the issue: traditionally, a good farmer is judged by how deep and how often they work the ground. The same generation that believed this is now being told, in one form or another, that a good farmer is judged by how little and how infrequently they work the ground. Whether we accept either notion, the reality remains the same: practices that once grew successful crops are no longer working on those same fields. As far as his family’s fields, the practices he’s employed are not only yielding great results, they’re also making the land healthier. Mindemann has seen an increase of about .10% soil organic matter each year with the higher end peaking at 2.5%. Mindemann isn’t known as a farmer who blindly adopts the practices of which he reads. 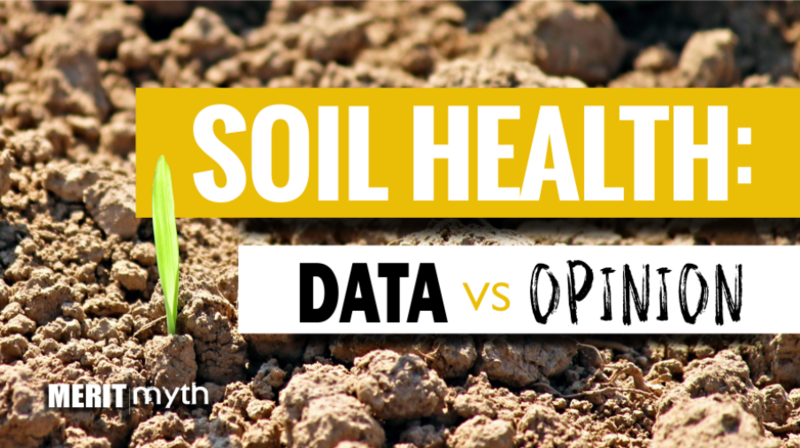 He gets out into his fields, into his dirt and pulls data he can use. This has led him into the role of a local innovator. Take corn, for instance. Traditional thought in southwestern Oklahoma is that corn isn’t a viable crop. Leave it to Alan Mindemann to shrug off such “common sense” and find the means to do it any way. Through planting corn into killed bermudagrass, he’s come out with yields as high as 150 – 200 bushels an acre. Of course, with all his success, he doesn’t get overconfident. Corn isn’t the only crop that has sprung to life under Mindemann’s guidance. In 2016, he raised non-GMO double-cropped soybeans that averaged out at 40 bushels an acre (with some fields hitting 60-70 bushels). As for the surrounding fields in his area, the average per acre was a meager 8 bushels of soybeans and 42 bushels of corn. For a more in-depth look at Alan Mindemann’s numbers, a breakdown of his specialty crops and the thinking behind them, check out John Dobberstein‘s original article here.